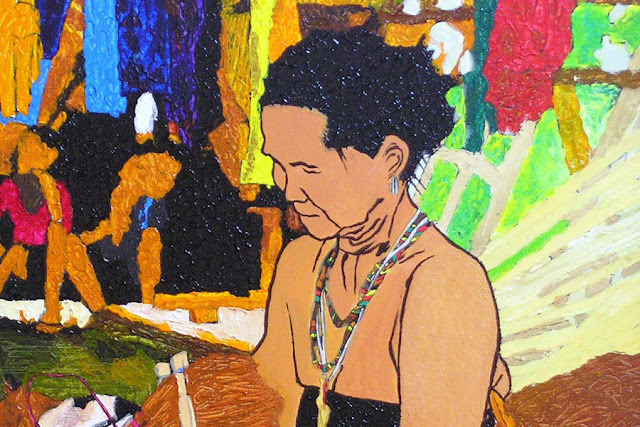 This event is a state wide art selection program to increase the collections of the Sabah Art Gallery as well as to discover and encourage creative individuals to pursue their passion in art. Entry forms are available at the Sabah Art Gallery and all submission centres around Sabah. The Malaysian Traditional Malay Archers Association (PERTAMA) is organising an International Traditional Archery Festival 2018 from 26-28 January 2018 at Ladang Alam Warisan in Negeri Sembilan, which is a place known for its authentic recreation of a traditional Malay village, showcasing the Malay lifestyle and customs, as well as a venue to learn archery and traditional horseback archery. 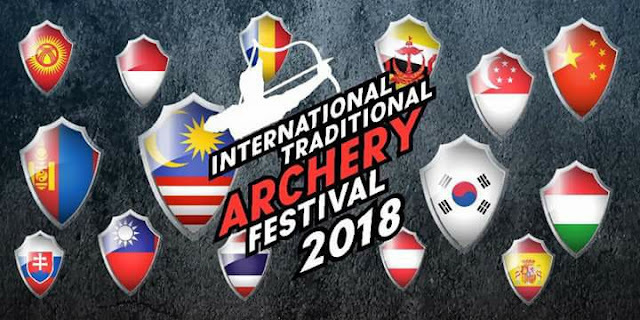 The three-day festival will see participants from 10 countries comprising Brunei, China, Hungary, Indonesia, Malaysia, Mongolia, Romania, South Korea, Taiwan and Thailand pit their archery skills against each other while wearing the national clothes of their country. There are two separate competitive categories namely static shooting from a distance of between 20 and 60 m which take place on 27 January, and the dynamic shooting for traditional archery on 28 January. For fans of an age old sport like archery, this is a competition that should not be missed. During the festival, other activities will also be held including performances of traditional songs and dances, and traditional music, as well as booths selling traditional food from Malaysia and the neighbouring countries, traditional games, handicraft exhibition and others. Temple of Supreme Bliss in the Hokkien dialect, Kek Lok Si Temple is a crowd puller and famous tourist’s attraction during the CNY. 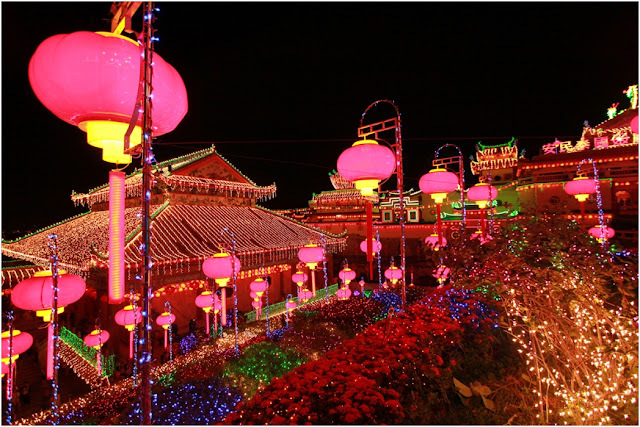 Annual display lighting showcases more than 10,000 lights. 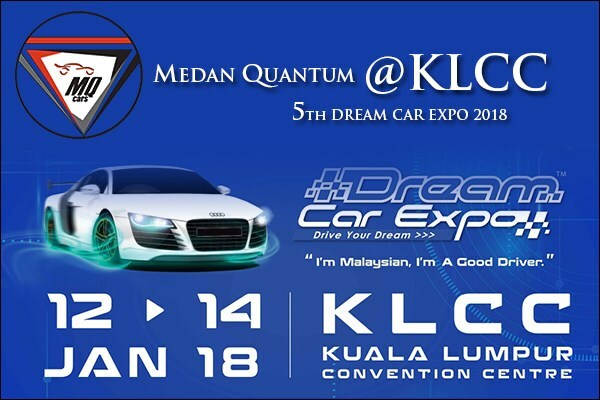 Showcase of the latest model year imported and domestic vehicles. A platform for the community to share common interests, expand their networks as well as businesses. For centuries, seafarers from all over the world have sailed through the waters of the Malay Archipelago. Some of them survived to tell their tales but many more were buried underneath the sea when their ships succumbed to severe weather, leaks or attack and ended at the bottom of the sea. However, these days, ships are never left to remain buried eternally, which is why efforts to search and recover shipwrecks in Malaysian territorial waters have been carried out since the 1980. Merchants from Far East such as China and India, as well as Middle East have ventured into our waters as early as the 15th and 16th centuries. When tragedy struck and their vessels sank to the bottom of the sea, our nation’s waters turned into an underwater tomb, not to mention, a treasure trove of historical artifacts.In an effort to share the historical artifacts from the shipwrecks found within the Malaysian waters, Johor Heritage Foundation together with the Department of Museums of Malaysia and Tanjung Balau Fishermen Museum are organising “The Treasures of Shipwrecks Exhibition" from November 2017 until January 2018 at the Mersing Museum in Johor. 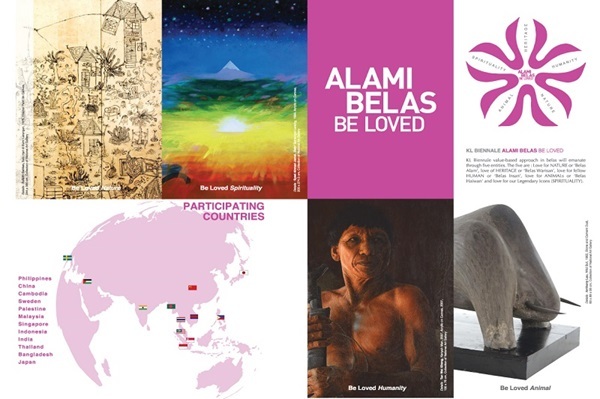 The artifacts that are being showcased at the museum were discovered from 13 shipwrecks namely Nassau (1606), Diana (1817) Ranee (1923), Nanyang (1380), Desaru (1830), Turiang (1370), Xuandee (1540), Risdam (1727), Prince of Wales (1941), Longquan (1400), Wanli (1630), Royal Nanhai (1460), and Tanjung Simpang Mengayau (1126). These ships were previously found in various parts of Malaysia, I.e. the sea beds of the Melaka Straits, which was once, one of busiest trading routes in the world, South China Sea, and along the Johor and Terengganu coast. Among the artifacts recovered from the wrecks were ceramics, plates, bowls, and tea sets, white and blue China porcelain, green tea, ginseng, ginger, rhubarb, benzoin, glass beads, tin ingots, ivory, timber, urns, muskets, anchors, bullets, pots, small bowls, and earthen ware. So, if you are a history buff, a maritime fan, or have watched Titanic more than five times, this exhibition is just made for you! Chiang Mai, Thailand, 26 January 2018: Malaysia’s Minister of Tourism and Culture, YB Dato’ Seri Mohamed Nazri Aziz launched the Visit Malaysia 2020 promotion campaign for the first time at the ASEAN Tourism Forum he is attending in Chiang Mai, Thailand. 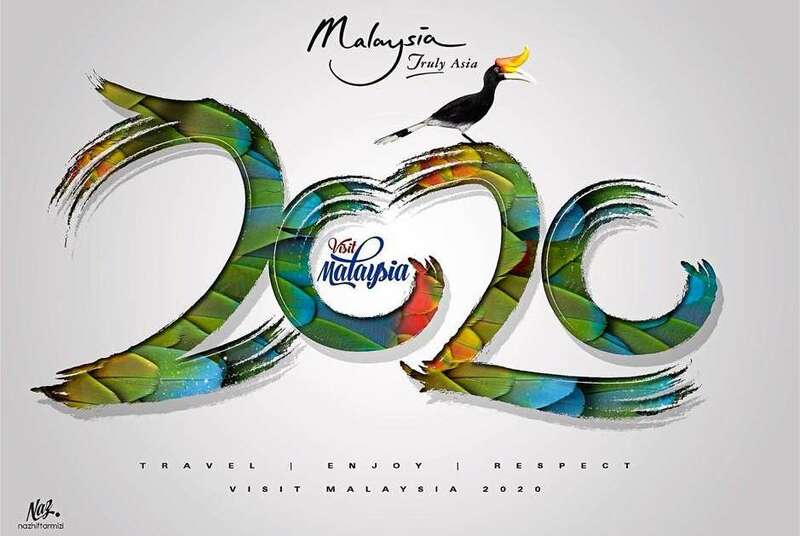 He also took the opportunity to unveil the official logo of Visit Malaysia 2020, a colourful portrayal of Malaysia’s treasured flora and fauna. The event was held during a business lunch hosted today for international tourism trade buyers and media attending the forum at the Chiang Mai International Convention Centre (CMECC). Visit Malaysia 2020 is a landmark initiative that has received the support and endorsement of the Honourable Prime Minister of Malaysia in 2017. It is a key development towards the realization of the Malaysia Tourism Transformation Plan goals that by the year 2020, Malaysia will welcome a total of 36 million tourists and register RM168 billion in tourist receipts. The initiative not only aims to rally all industry players towards this common goal, but is a call to welcome tourists from all over the world to experience Malaysia’s warm hospitality and diverse tourist attractions. The campaign will be aligned with World Tourism Organisation (UNWTO)’s “Travel.Enjoy.Respect” movement launched in August 2017 which calls for tourists to become a catalyst for positive change towards a better future. The Minister is confident of the success of the campaign, saying that Malaysia’s tourism industry is growing stronger. He cited tourism investments in Malaysia such as international hotel brands Four Seasons, Movenpick, W Hotels by Starwood and DoubleTree by Hilton being made within the next two years, amounting to close to 1,000 rooms. In addition, new attractions are also being launched to provide tourists more choices of attractions. Desaru Coast, a premium integrated destination resort combining accommodation, golf, theme park, convention centre, leisure, retail and F&B, is expected to open by June this year. It will be bringing in hotel brands such as The Westin, Anantara and Hard Rock Hotel. Acknowledging the importance of connectivity to facilitate travel, Dato’ Seri Nazri said that the Ministry of Tourism and Culture and Tourism Malaysia are focusing on increasing accessibility to Malaysia via various airline partnerships for scheduled and charter flights. The Malaysian Government has special incentives for this purpose and Tourism Malaysia is using this to attract international airlines to fly Malaysian routes. He urged ASEAN industry players to work together to create a seamless and unforgettable experience for tourists when they visit ASEAN as a single yet multifarious travel destination. In conjunction with this, the Minister presented recognition awards to ten organisations in appreciation for their support and promotion of Malaysia as a holiday destination for Thais. The recipients were Global Union Express, Roong A-Nan Tour, Ruby Travel, Sawasdee 5 Stars Tour, Tussanapachuen Tour, U-Best Station, Erawan P.U.C. Tour, the Council of Chiangmai Muslim Women Thailand, the Association of News Reporters of the North (Mr. Amnaj Jongyotying) and North Daily Newspaper (Ms. Pongpan Jongyotying). They were each presented with a special plaque in appreciation of their outstanding contribution and commitment to promoting Malaysia. Please visit and to knowing about a new information about Malaysia. please click 'like page' .